Dancing with the Stars fans know there’s nothing better than watching a couple tango through a competition. As the new year unfolds, wouldn’t it be nice to transition from dance observer to dance participant? I’m not suggesting a gig on Dancing with the Stars, but consider taking a Zumba class. Valerie doesn’t come from a dance background, but has participated in group exercise programs for years. She teaches or attends class twice a week, while juggling a full-time job and spending time with her husband and two children. “I bring intensity to a class—you definitely break a sweat,” says Valerie. Ever the nurse, Valerie cautions her students to be mindful of toe-knee alignment while dancing, wear proper footwear that cushions the body’s joints and sip water during class to stay hydrated. Zumba attracts mainly women to fitness facilities, recreation centers and dance studios. “People come to cut loose and have fun,” explains Valerie. Don’t worry about what you look like while shaking your hips because novice dancers and those with rhythm have the same goal—to sweat. 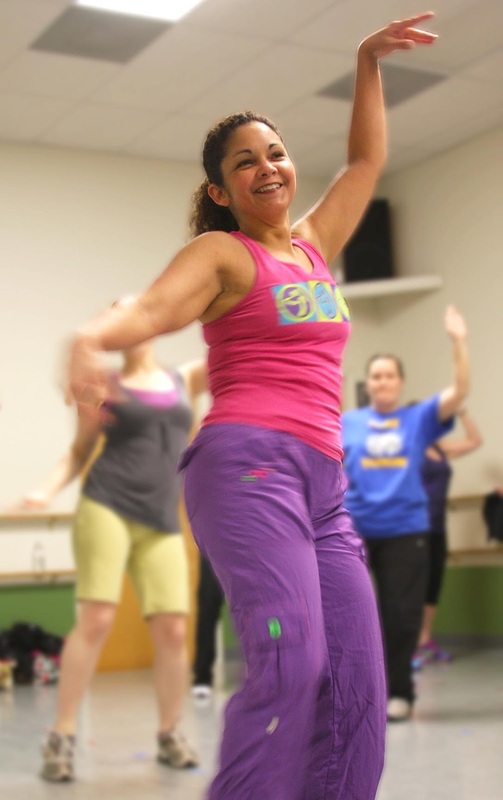 Whether it’s Latin dance, hip-hop, or belly dancing, Zumba requires no previous dance experience according to Valerie. “It’s a party-like atmosphere with a bunch of friends—and not a chore like some other workouts,” adds Valerie. The basic Zumba class spans one hour and trained instructors have the flexibility to design classes to their own style, and some incorporate strength training. “It’s always fresh and the music makes it fun,” explains Valerie. She emphasizes that Zumba is a great workout for people who love to exercise in a group. “I’m not an exercise guru, but this is something that has stuck with me,” says Valerie. Zumba is about the fun, camaraderie and exercise—not to dazzle the judges. This new year, find a form of exercise that interests you. It may be Zumba, spinning or walking the mall with a friend. Just get moving. Valerie is a good symbol of what Zumba can do to keep you fit and looking youthful, she is a cutie and the picture of health.